Situated in southwestern Broward County, Miramar is 14 miles in length from east to west and 2.5 miles in width, making it the 3rd largest city in Broward County in terms of land size and the 5th largest city in Broward County in terms of population. Miramar has outstanding Public Safety departments with a full-time staff of professionally trained and certified firefighters and police officers. The city has 2 water treatment plants, 1 wastewater treatment plant, and all other services necessary for the health and welfare of its residents. Miramar has 11 elementary schools, 3 middle schools, 2 high schools, various charter schools and a special needs school, as well as 8 institutions of higher learning, such as Nova Southeastern University, Broward College, Ana Mendez University, DeVry University, Le Cordon Bleu, Strayer Univeristy, Concorde Institute and the University of Phoenix. There are many reasons Miramar has become a preferred locale for major corporations and Fortune 500 companies to call home. The city is centrally located between the Miami and Fort Lauderdale metro areas and less than 30 minutes to Miami and Fort Lauderdale airports and seaports. Interstate 75, and the Florida turnpike are located within Miramar and I-95 and the Sawgrass expressway are minutes away. 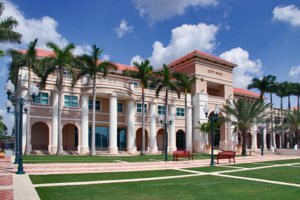 Miramar was named among the top 100 of "America's Best Places to Live" by Money Magazine in 2006 and again in 2008; offers the largest commerce park in the region which includes a foreign trade zone; and has a highly skilled and professional workforce. Catalina Bay At Monarch La Bldg. Wyn Homesites No 1 Bldg. Meadows Of Miramar Ph 3 Bldg. The Meadows Of Miramar Bldg. Miramar Park Add 5 Bldg.